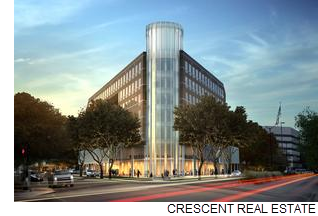 DALLAS – Crescent Real Estate is planning a “top-to-bottom” redo to the seven-story former Guidestone Building at 2401 Cedar Springs Rd. in Uptown, which the company purchased in early 2018. Built in 1989 for a single tenant, Crescent plans for the property to offer 200,000 sf of contiguous Class AA office space, complete with high-end finishes and amenities. The building’s main floor will have a pass-through lobby with seating areas and two entrances connecting Maple Ave. and Cedar Springs Rd. The improvements are expected to be completed early 2019.